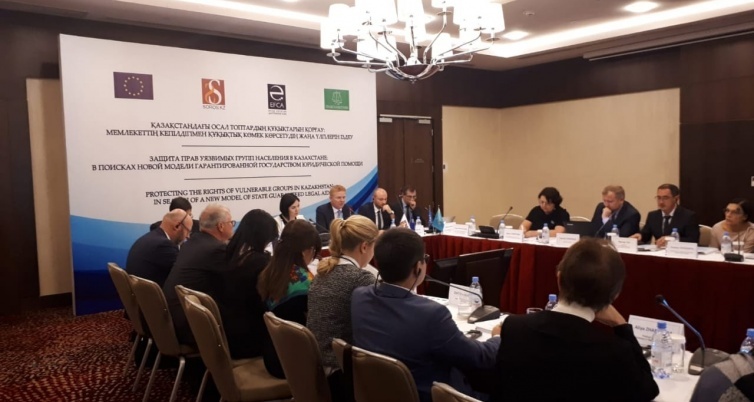 “The criteria for evaluating the effectiveness of this assistance centres on quality, accessibility, partnership, sustainability and client-orientation,” he noted at the event, organised by the Eurasia Foundation of Central Asia (EFCA) and financially supported by the Soros Foundation-Kazakhstan (SFK). “Access to SGLA is an important condition for ensuring access to fair justice and the basis for building a legal state. 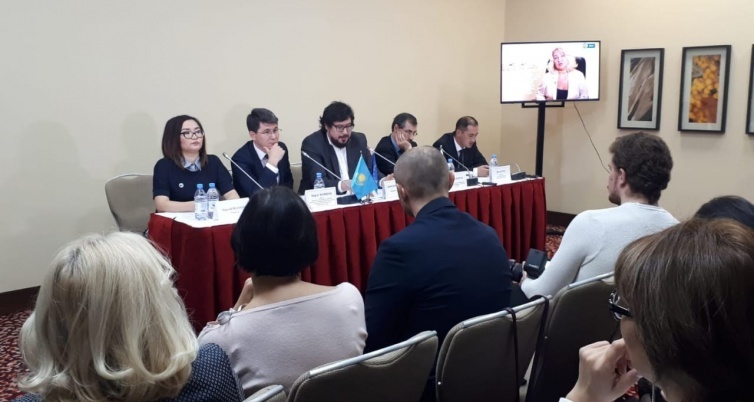 Unfortunately, not all citizens can go to court and protect their rights in Kazakhstan, as highlighted by this project’s research findings and many other human rights reports. It is important to understand that building an effective, consolidated and transparent model for the effective provision of legal aid, thanks to which each person may realise his or her constitutional rights, is a key driver for the development of our country,” said SFK public policy initiative director Bota Ayazbayeva. The aim of the EU-funded project is to improve protection for vulnerable groups’ rights, particularly if they are within the criminal and civil justice system, by enhancing the quality of and access to SGLA. Its main findings on seven Kazakh regions centre on identifying categories of vulnerable groups, barriers to accessing SGLA and ways to improve national legislation. Zhovtis singled out convicts, orphanage alumni, juvenile offenders and women in difficult life situations as salient categories of vulnerable groups. Thirty-five percent of convicts surveyed were not informed of their right to free legal aid and 65.5 percent of the 225 orphanage alumni surveyed did not seek any legal assistance. The latter were more likely to turn to parents, guardians or relatives than lawyers. Even if these groups are aware of the aid’s availability, they are unlikely to pursue it. Seventy-eight percent of the 263 minors surveyed did not apply for legal aid, despite 59 percent having an understanding of this assistance. Among the 53 percent of the 1,500 women surveyed who sought legal aid, only 14 percent reached out to lawyers or a court. Instead, they were more likely to seek out a public service centre or notary. Kazakh President Nursultan Nazarbayev’s 100 Concrete Steps initiative highlights that economic prosperity goes hand in hand with a fair, effective and humane criminal justice system. The event served as a platform for developing a common vision on further steps toward improving the SGLA system with the critical participation of representatives of the public sector, civil society, legal organisations and international organisations. Similar collaborative platforms on criminal justice reform have contributed to Kazakhstan’s shift from ranking third to 71st on an index for the number of prisoners per capita within six years and its steady improvement in judiciary rankings. EFCA is a public organisation mobilising public and private resources to help citizens actively build and strengthen their local communities and enhance civic and economic welfare. SFK is an NGO promoting public policies to safeguard fundamental human rights, ensure budget transparency and increase social activism and tolerance within society. The EU has funded several projects as part of its support for judicial reform in Kazakhstan programme to strengthen the country’s rule of law and judicial reform by helping in implementing the national policy on humanising the justice system.